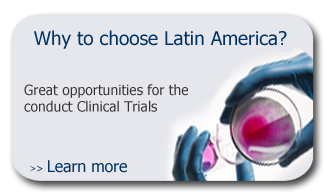 Phase II trials are conducted to evaluate the effectiveness of the product for a particular indication or indications in patients with the disease or condition under study and to determine the common short-term side effects and risks; whilst Phase III trials are intended to gather additional information to evaluate the overall benefit-risk relationship and to provide adequate basis for labeling. 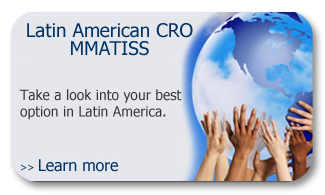 Latin American CRO MMATISS counts with the expertise and knowledge required to properly manage all the aspects of Phase II and Phase III Clinical Trials, from the planning to reporting. Whilst our site management will help you to begin the conduct of the trials in a prompt manner, our monitoring services will help you to provide orientation and support to the site and to promote and ensure subjects safety, data integrity and the proper conduct of the study. Also our medical monitoring services will provide the support required to verify the protection of research subjects, the integrity of results, and consistency with the protocol. Additionally our quality assurance services constitute a final verification to ensure overall compliance with standards and regulations. 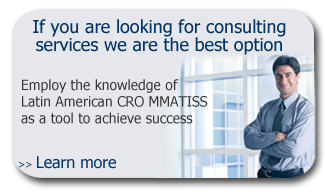 Services are provided in either an integral or discrete fashion according to the necessities of the customer.